Burning questions about teaching English in China #2: Ture or false? The idea for these articles came to me during this past winter holiday, as I was reflecting on beginning my tenth year teaching English in China. In that time, I’ve noticed many common mistakes made by English learners and wondered why they were so common, yet so easily corrected. In other words, I wondered how it was possible for so many university students to have acquired the same bad habits, regardless of where they went to school or what their major was. So, I decided to write a series of (mostly) short articles highlighted each of these puzzling errors, in the hope that students — and their teachers — can somehow explain why they occur and how best to stop students from making these mistakes in the future. I will post them in my Qzone, on Steemit.com, and on my blog. Readers who are not familiar with English education in China need to understand that all university students have had English as a Foreign Language (EFL) instruction since middle school, and many from grade 3 in primary school. Additionally, all university majors need to take two years of English instruction and pass two national English-proficiency exams. Despite all these years of EFL instruction, many university students — even English majors — still make the same basic mistakes in grammar, vocabulary, pronunciation, orthography, and syntax. And I am at a loss to explain why. 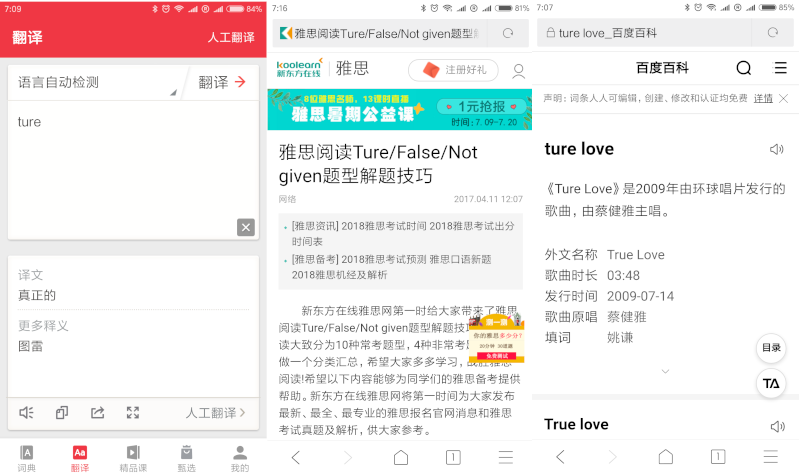 Why do so many Chinese people misspell the word “true” as “ture”? I mean, it’s not as if textbook printers never make mistakes, right? Trouble is, there is no such word in the English language, aside from a little used slang word meaning “pure and true.” Spelling “ture” to mean “the opposite of false” is just plain wrong, like confusing he and she. It’s careless and sloppy. I can excuse the occasional student who spells “true” wrong, but for online dictionaries and encyclopedias to accept “ture” as another way to spell “true” is inexcusable. They are just perpetuating a falsehood. How did this particular error get started? And why does it still persist, despite years of teaching English in China? I never see “flase” or “turth” for example. Granted, the combination “-ture” does appear in many common English words — picture, mature, furniture — but never — NEVER — by itself. So, it’s turly a mystery to me.